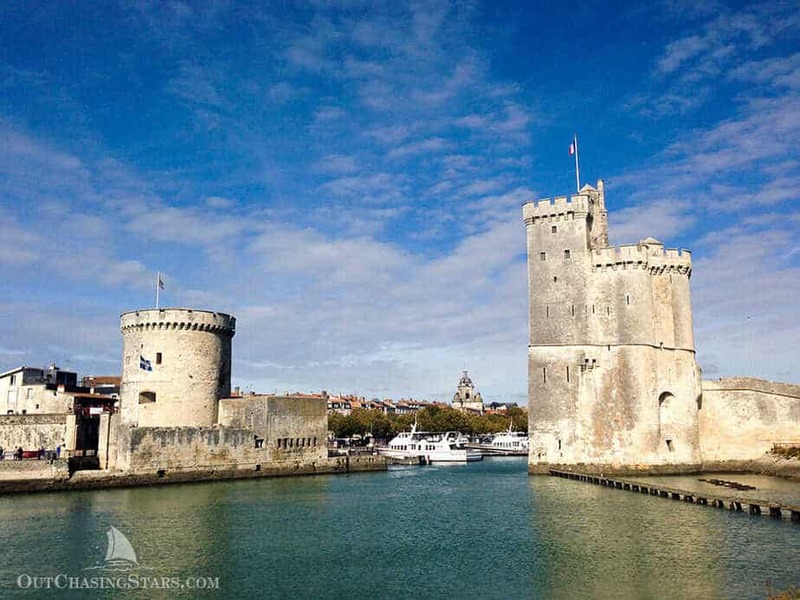 La Rochelle France would not normally have been on our radar for a tourist visit, but we are here to pick up our new home and adventure-mobile, Starry Horizons, our Fountaine Pajot Helia 44. 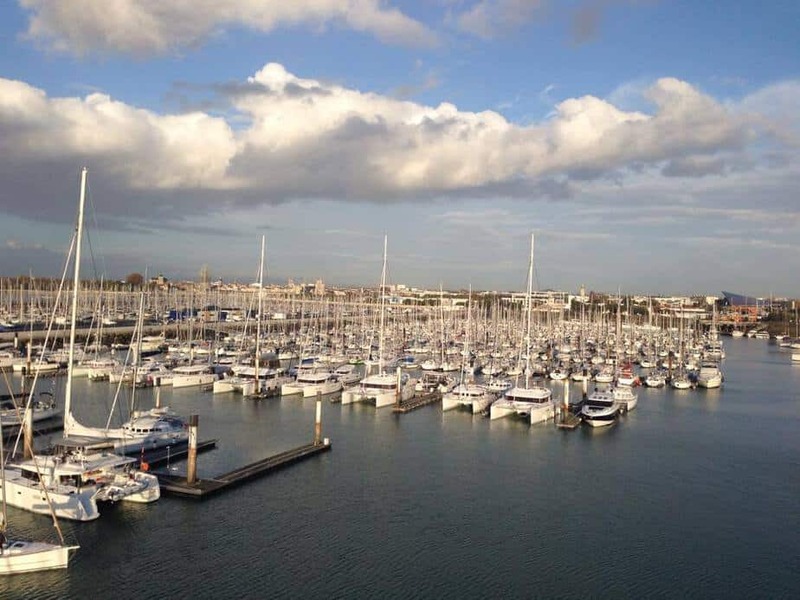 Like all things related to boat buying, the process wasn’t quite as it had been explained to us, so we have some free time to explore this beautiful seaside town. The small seaside town of La Rochelle is a 5-hour train ride away from Paris, or an hour and a half flight, both for roughly the same cost. There are hundreds of AirBNBs in La Rochelle. You can even stay on a boat! 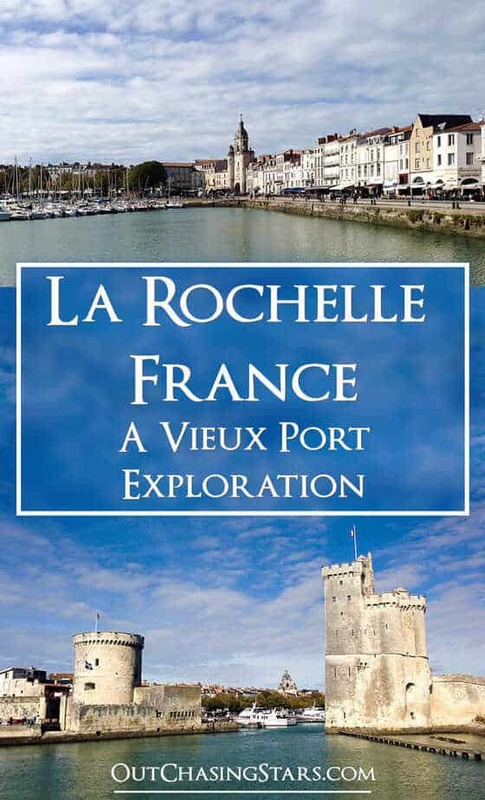 We definitely recommend staying near La Rochelle’s main feature, the Vieux Port, or the inner harbour of the town. Almost all the French people we have meet say that French people don’t speak English. However, almost everyone we have talked to knows at least a bit of English. My french extends to just the basic vocabulary words – mange, chien, merci! We stopped at SFR Mobile to pick up SIM cards and pay-as-you-go plans. The French SIM cards were 10 euros each. This gave us a French phone number and 5 minutes of phone time. In addition, we bought for 15 euros a 1 hour credit for calling Europe and Africa (which is good for 1 month) to make local calls. Additionally, we got four 1GB cards for data (each is good for 7 days). Overall, that’s 70,80 Euros for our cell phone needs while we are here. We have internet in our apartment, and I think we will have internet at Les Minimes, but we want to make sure we don’t get lost while walking around and running errands (especially if we separate to accomplish our tasks). First we walked to Les Minimes, which is the largest marina in Europe for pleasure boats. It’s HUGE! A great way to see it is to walk along the water – there is a breakwater pier that extends out to the entrance of the marina, and from the inner harbor it is a 25 minute walk out to the very end of the pier. On certain days, you will see the sailing schools out in abundance. View of Minimes from the top of our mast. If you want to walk further, continue out to the Pointe des Minimes, where you get a view looking out over the Le Phare du Bout du Monde, or lighthouse at the end of the world. Next door is the Minimes beach. This was an important trip for us, as we were also checking out all the services and facilities available for yachties. We popped into the Accastillage Diffusion chandlery to scope out the selection and stopped by Uchimata to meet Pierre and his team, who will be doing most of our outfitting work in La Rochelle. We took a break back in the apartment and then went out for shopping. 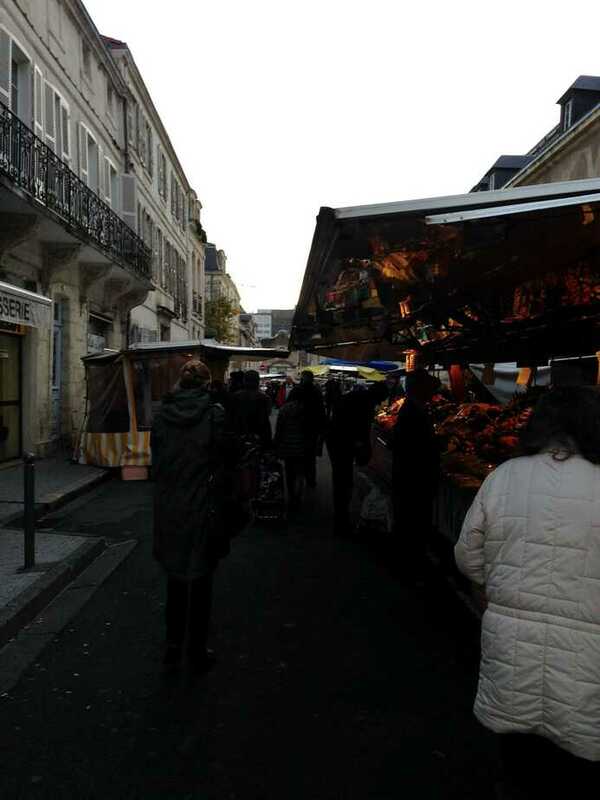 La Rochelle has a very busy pedestrian area in the City Centre which is full of shops. We walked for quite a ways and got a bit lost and then found our way back, as you should do in any confusing European town. Definitely the highlight of La Rochelle is the Vieux Port, or Old Port. 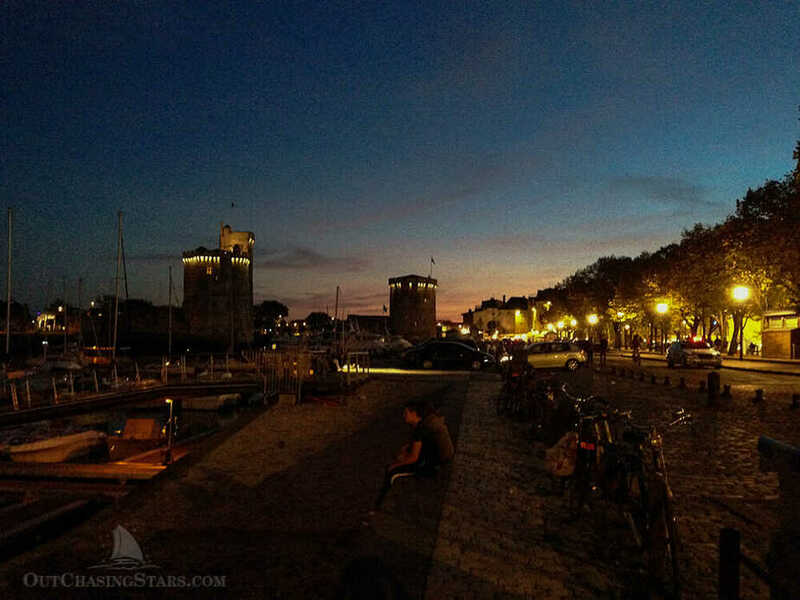 Guarded by three towers, Vieux Port has an incredible medieval atmosphere. In fact, La Rochelle is very well preserved, even though it was heavily occupied by German forces during WWII. 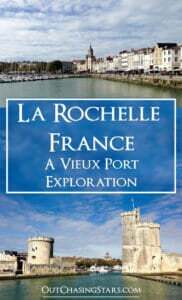 Walk along the promenade as duck or nighttime to enjoy the towers of La Rochelle all lit up. The view of the harbor, with the towers at either side of the entrance. The harbor has three distinct towers in it. 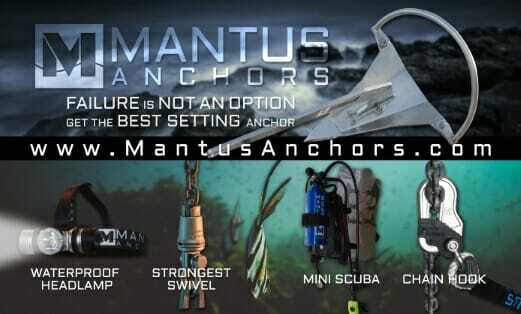 The first two are obvious – the Tower of Saint Nicolas and the Tower of Chains guard the entrance to the inner harbor. 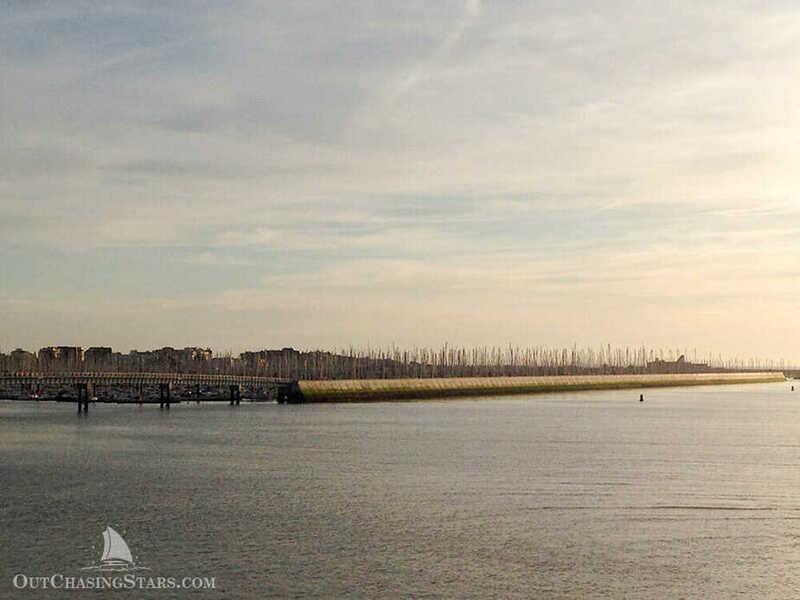 The third tower is the Lantern Tower, just a few minutes walk from the harbor entrance. Tours are offered in the towers, but the highlight is seeing the Vieux Port, including the towers, lit up at night. The Port of the Two Mills is an interesting older building, but while walking there don’t miss the sculpture by Bruce Krebs called From Generation to Generation. Bruce also has two other works nearby and an art gallery. If you continue walking west on the north shore, you will also find a beach and several parks. 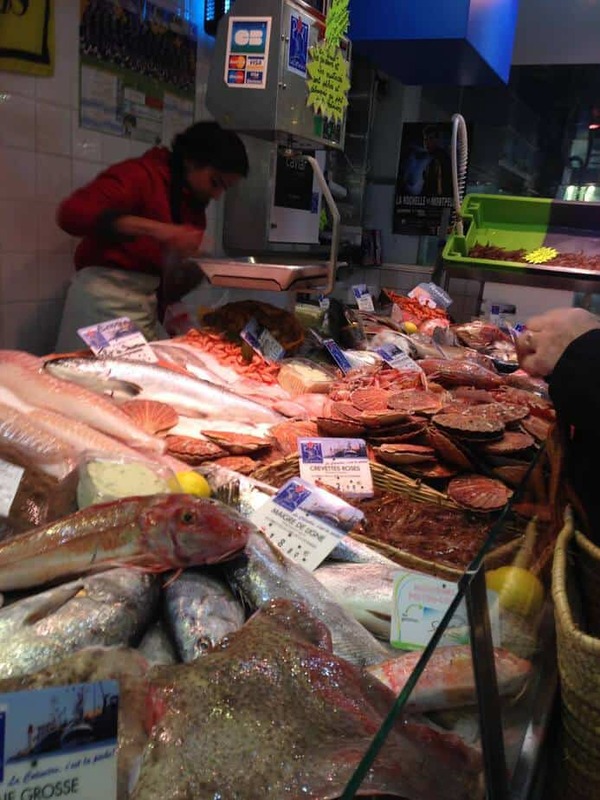 Since we will be spending so much time in La Rochelle and provisioning Starry Horizons for the first time, I made sure to scope out the markets. 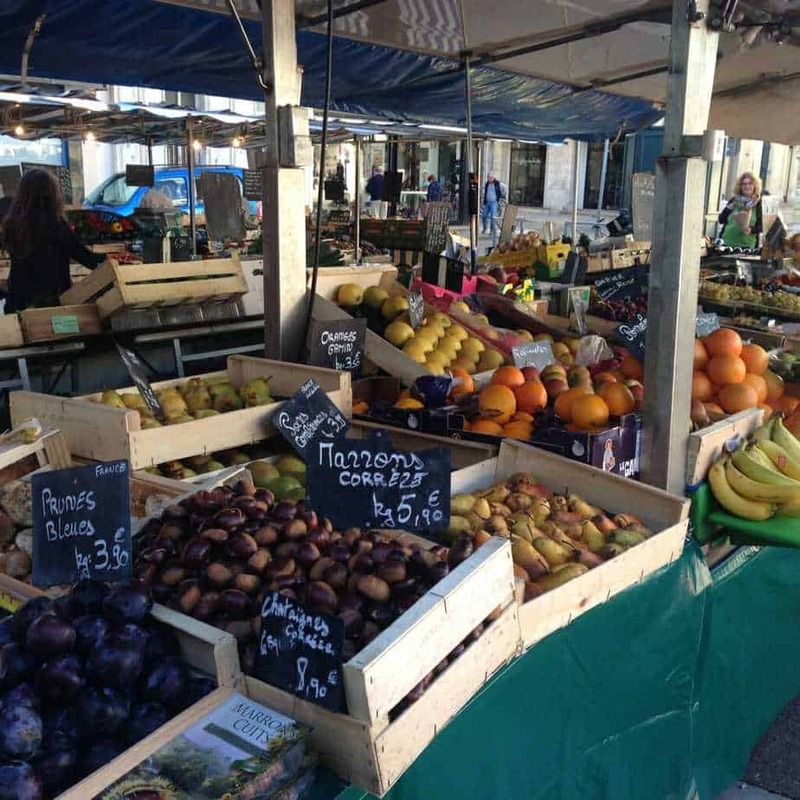 While there are Carrfoures aplenty, every day the big Marche du Centre Ville is open. 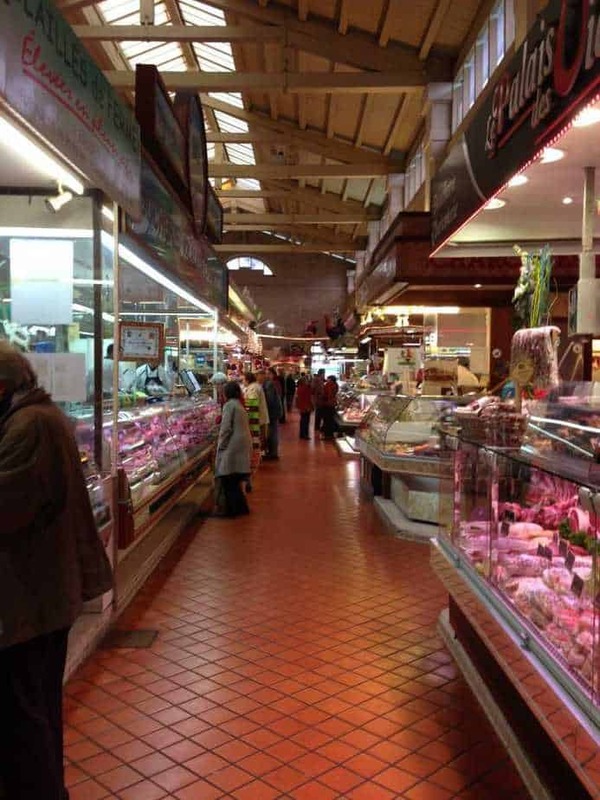 On Wednesday and Saturdays, the market overflows its venue, and spills into the streets. French markets are almost always spectacular, so be sure to make the market a high priority. 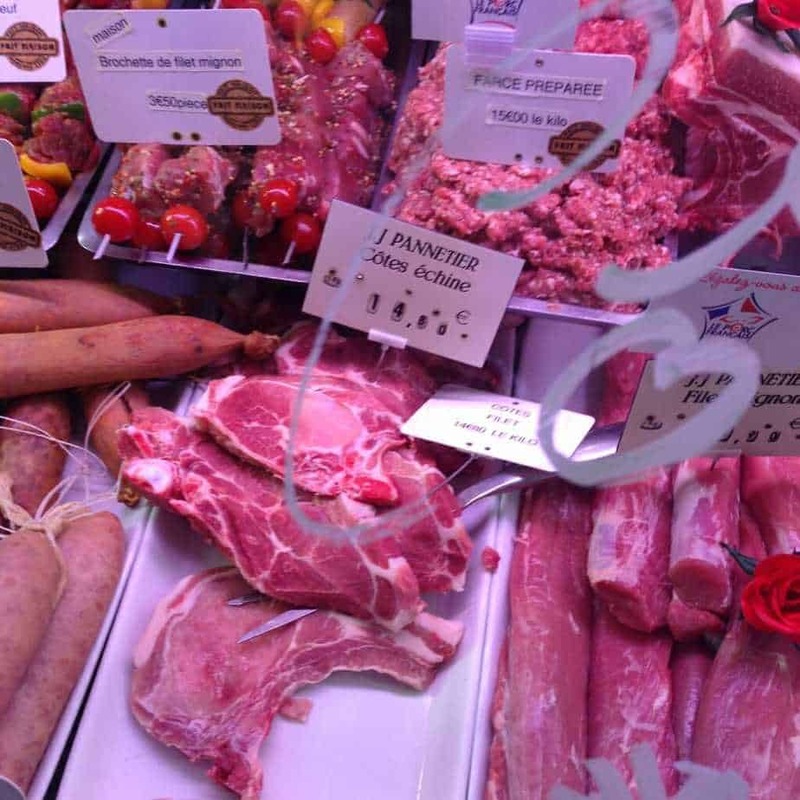 Meats! I took some pictures so I can look up the words to know more about what I bought. 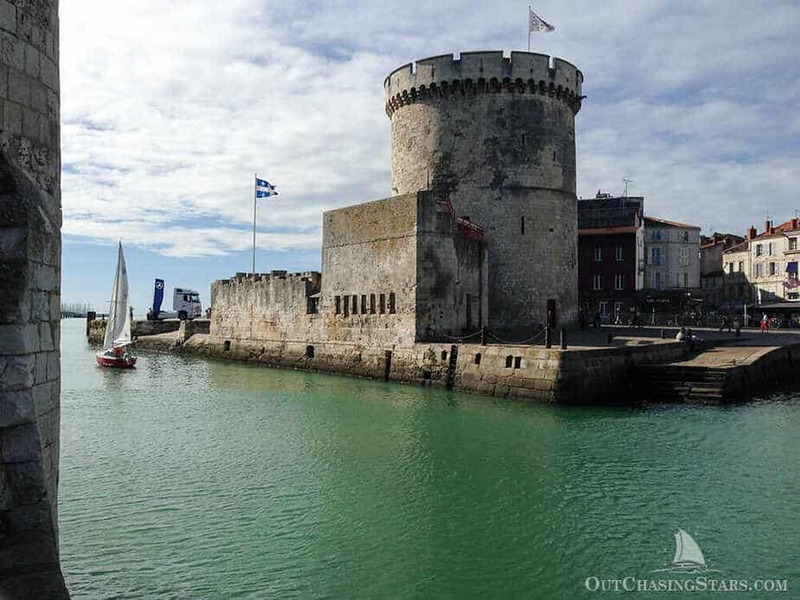 La Rochelle also has a Maritime Museum, a Natural History Museum, and an Aquarium, just to name a few of the other attractions to see there. A short drive from La Rochelle is Ile de Re, another summer holiday town in France. 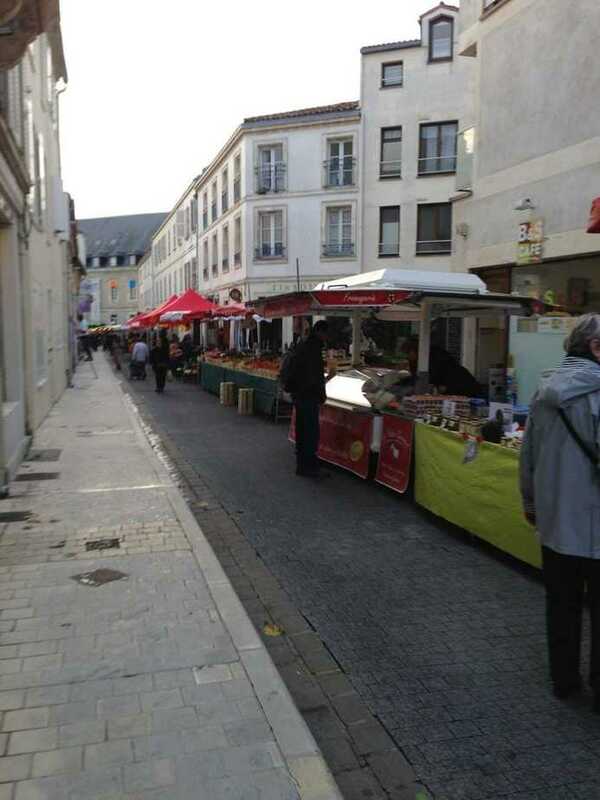 In fact, France is full of small French towns worth visiting. Hahaha…or a haiku? maybe replace chien with frommage! We have been to France thrice, but have yet to explore that part of the country. 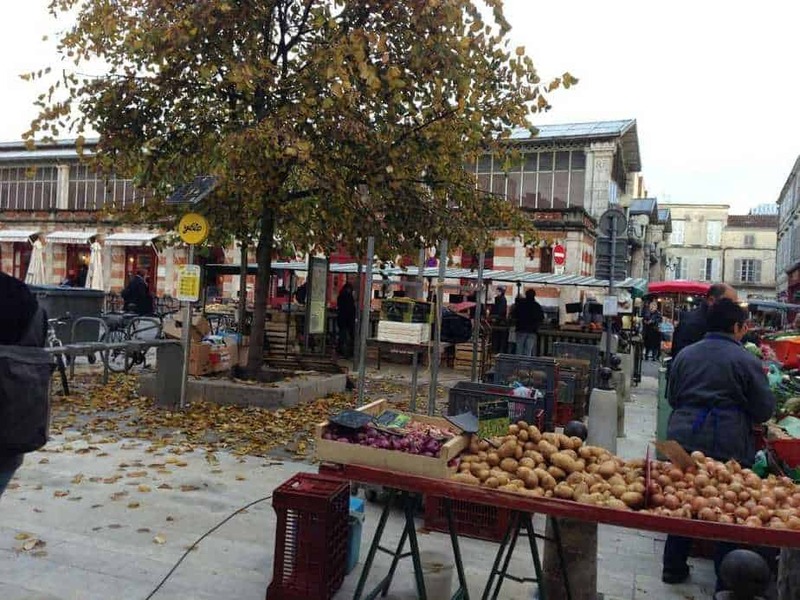 La Rochelle reminds me of Marseilles and Lyon…even though both these are on the other side. Did you travel to other close by towns from here? We traveled to Ile de Re, a small island nearby. It’s cute, but not nearly the size and history of Marseilles or Lyon. What a fabulous place just a short drive from Paris! It sounds delightful. My husband and I got engaged in Paris many moons ago so I always look forward to getting back some day. We will definitely put this on our list of places to visit. Thanks for the tip! You are welcome! Honestly, France is so big and there’s so much attraction to the small towns there. Yet another town I didn’t even know existed but I bet it has few tourists compared to some of the more well known towns and cities in France. 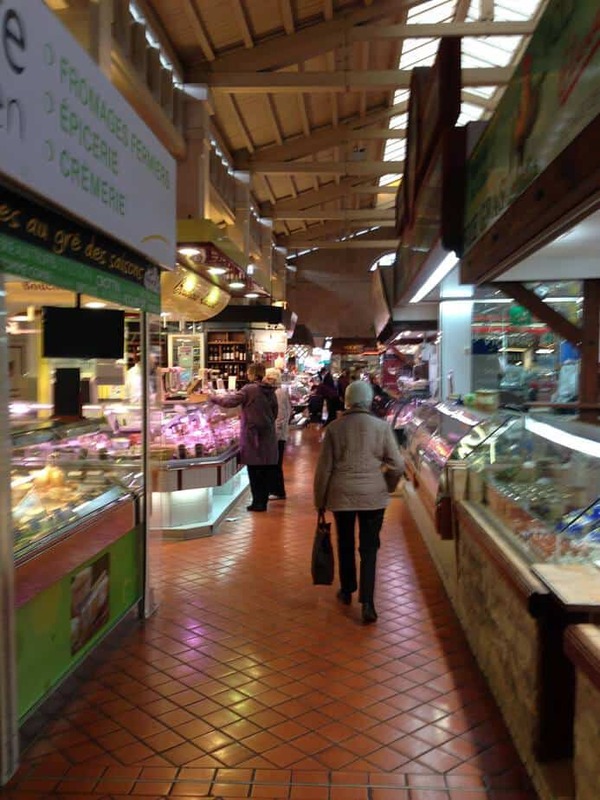 It really is a beautiful little town and I love the extensive markets they have I bet the food is as fresh as you could ever want! I have been to France 4 times but never to the west of the country. La Rochelle looks like a Medieval style city and I agree about French markets! In my experience with the language, if you at least make an effort in French, people are willing to help you with English. But if you just expect everyone to speak English, they can get annoyed! Very true. It’s so great to be able to say a phrase like Je voudrais in French and try your best. La Rochelle looks beautiful, and I love the color of the sky- it looks a bit like impressionist’s painter palette. When we visited Bordeaux last year, we were enchanted by the light! 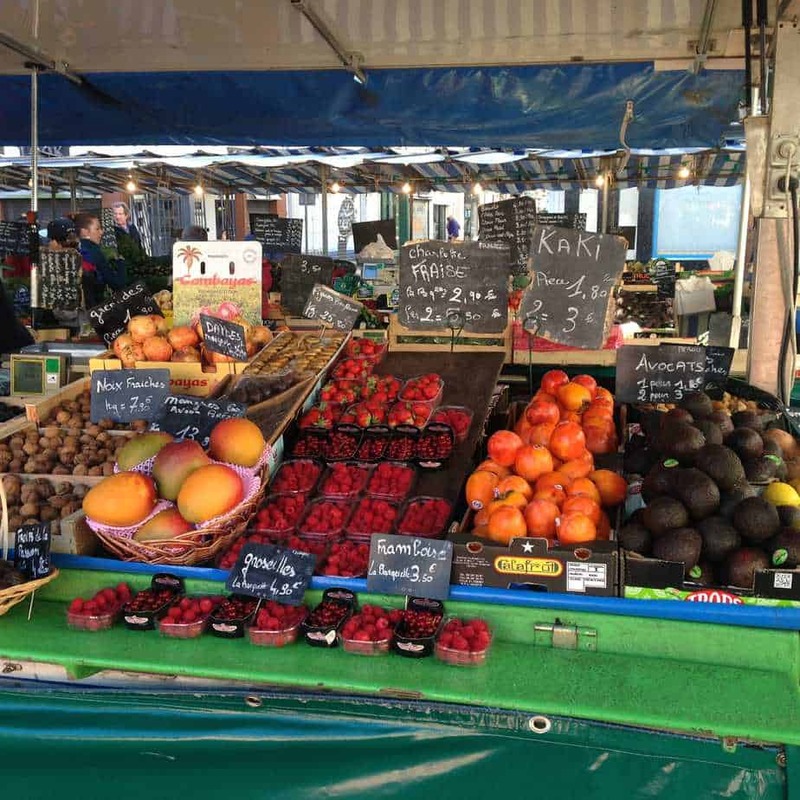 I have to remember to visit La Rochelle on a Wednesday or a Saturday, as I love to browse the food markets! As a French native, I always love to read about France through the eyes of other fellow travelers. We tend to avoid traveling in our own country, but there is so much to explore and appreciate! Thanks for giving some love to La Rochelle! You are welcome. I would definitely say I am well traveled around the world but not as much in the States! Thank you! La Rochelle seems to be off the radar, but I loved the feel of it! So historic! You are welcome! Let Rochelle is a fun town. France is beautiful. We have already discovered some nice corners. La Rochelle is not one of them yet. But after your post I think the city is worth the trip! Thanks! I think it’s well worth the stop. Yay! 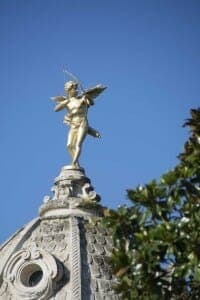 A blog post from France! Even though you are “stuck in France” longer than you’d like, it sounds pretty fun! I love the pictures, keep them coming please! Thanks Carlanna! We will keep them coming! Relax, you have nothing but time. You are on “Island Time”. Add 36.5% time to any time estimate, and then you only will be waiting a little while longer. Have fun with your intermediate travels. Rommel. Yes, definitely island time! We have no time commitments thankfully. 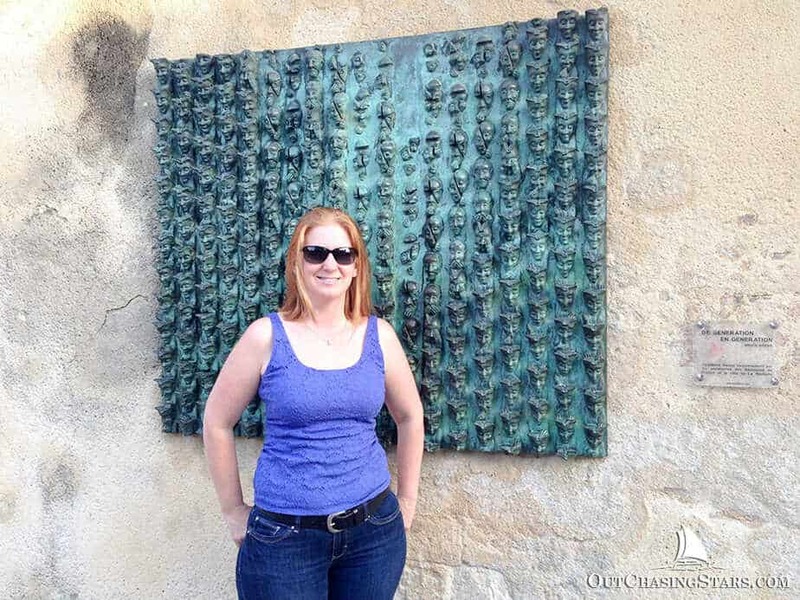 I loved reading about your tour around LaRochelle and reliving our time there. We also found several hull numbers close to ours, and even found our mast. FYI, Our experience was that FP does things on their own time frame, not on a “scheduled time” so don’t be surprised for delays or even showing back up to LaRochelle and finding your boat already sitting in the water. Have fun in Paris and Amsterdam!! Glad you have been enjoying the posts! We will just have to see how things go…we better get used to this schedule of no schedules! Well done guys, exciting times say g’day to Pierre for us.